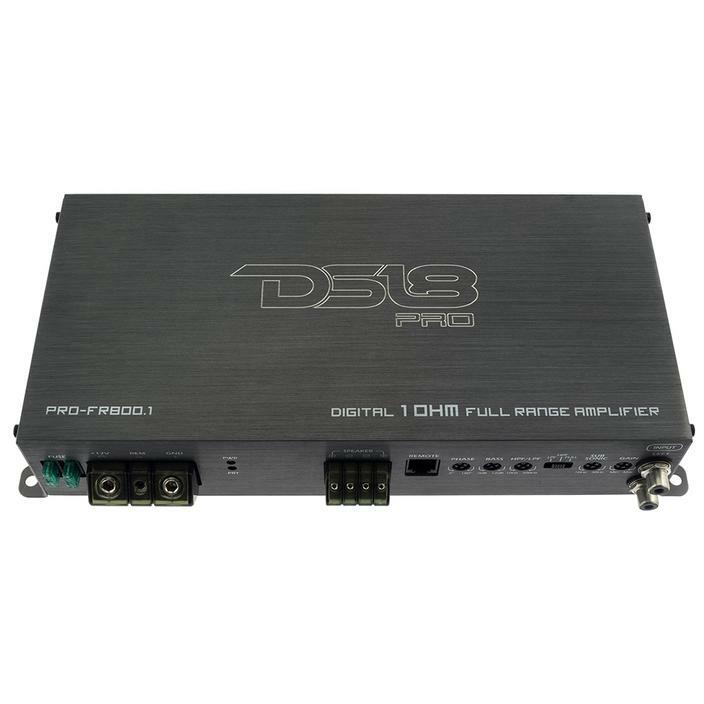 The DS18 PRO-FR800.1 provides Full Range for audiophiles seeking maximum power with unparalleled performance and sophistication. Find the most powerful midranges, tweeters, drivers, coaxial, or any other speaker and plug them to the Full Range series. Create an elaborate build. Compete. Win. 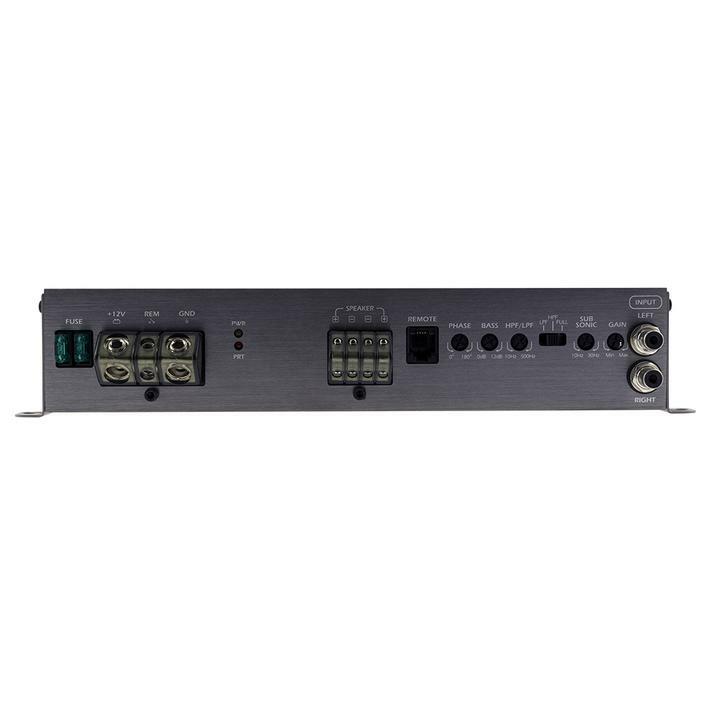 These amplifiers are the highest rated amplifiers today's technology can manufacture. 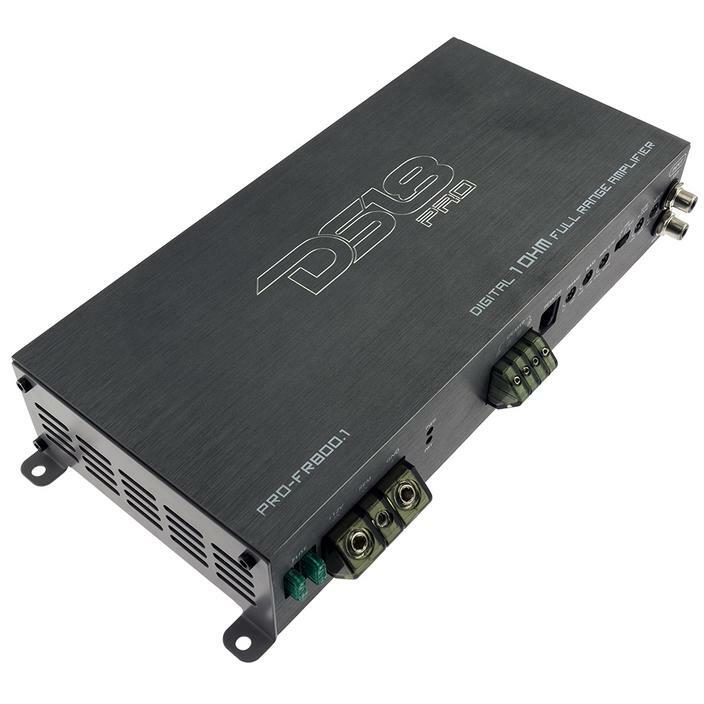 Only recommended for serious installers, competitors, and people who want to be heard by anyone within a mile radius. 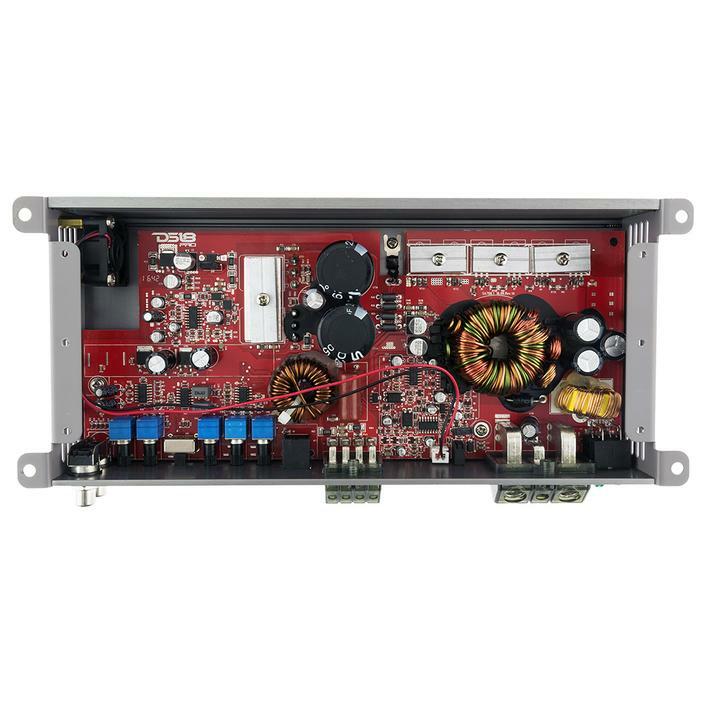 Independently tested vs. competing amplifiers, the smoothness, color, and design are just the cherry on top of the amazing technology and quality control these amps feature. 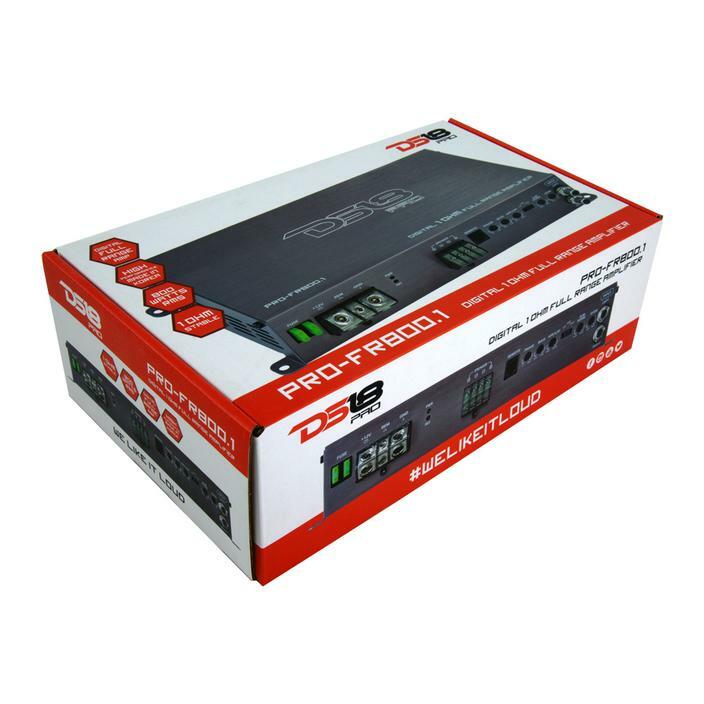 With MOSFET PSU transistors, unbalanced RCA inputs, full range RCA outputs, variable input level control and a thermal, over-load, output direct, and speaker short circuit four-way protection circuit.